1. 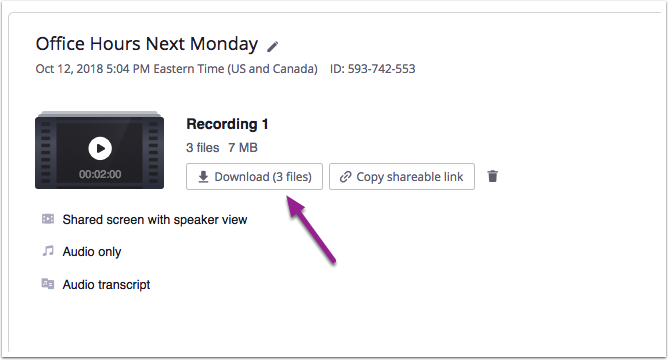 In Zoom Click on My Recordings. 2. 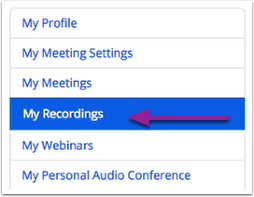 Find the Recording you would like to download and click the recordings Topic. 3. To download all files click Download. 4. The files will download to your desktop.